If you are new to yoga or need to brush up on some basics, you are in the right place. Get ready to start feeling like a more balanced version of yourself! Our Beginners Section is your ultimate online guide to learning yoga. To gain a solid foundation in the basics, start with our series of beginners courses. The classes are all linked to guide you step by step as you commence your yoga journey. 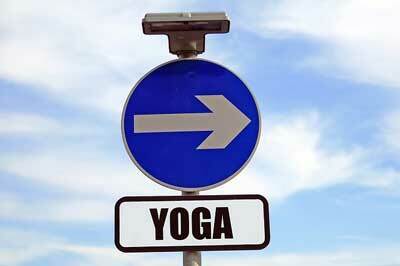 They are also helpful if you have yoga experience but are not familiar with the Iyengar style. Instructions in these courses are clear and precise. Feel free to practice at your own pace. Keep coming back as you learn and discover new layers. As you progress you will discover how to stand with healthy alignment and begin to notice new strength, energy and flexibility. Start to feel at home in your body and become a more balanced version of yourself. Once you complete these courses you will be ready to try the weekly intermediate classes found on the Weekly Classes page. Iyengar yoga is known for it’s strong focus on providing beginners with a solid foundation upon which to build their yoga practice. With so much to gain, it is important to build your yoga practice with the right framework and support. If there is no structure with which to learn a yoga system, early feelings of inspiration can start to taper off. This can create a sense that the classes are not really leading you anywhere. This can also occur if you rush too quickly through the beginner stage without getting a thorough introduction to basic concepts. The Iyengar approach focusses intently on the experience of the complete beginner. It stresses the importance of providing a series of structured classes that are designed to safely introduce each student to the subject. This provides you with a strong foundation for further exploration; ensuring that you can keep building and benefitting from your practice for years to come. Read our blog article to find out more.